The movie Denial has just started screening widely in New Zealand cinemas. 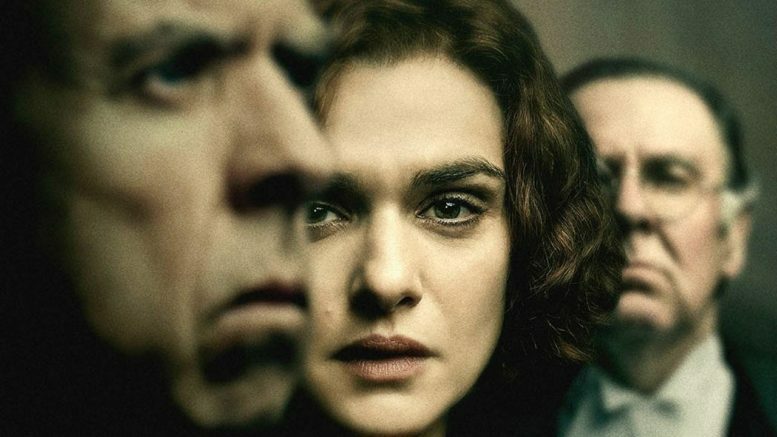 Rachel Weisz stars as Deborah Lipstadt, an historian and writer who was sued for libel by renowned Holocaust denier and anti-Semite, David Irving (played by Timothy Spall). What makes this real-life drama even more interesting to a Kiwi audience is that Irving has peculiar links to New Zealand’s own Canterbury University through its Department of History. Irving took Lipstadt to court in England, where the burden of proof lies with the accused – thus it was for Lipstadt (and her publisher, Penguin Books) to prove that Irving’s claims that the Holocaust did not happen were, indeed, false. The landmark 2000 court case ended with a 334 page judgement detailing Irving’s systematic distortion of history and a ruling in which the High Court in England called Irving “antisemitic and racist”. Lipstadt is reported to have said “History has had its day in court and scored a crushing victory”. Nevertheless, David Irving apparently continues to inspire conspiracy theorists and “Holocaust sceptics”, mainly through social media and the internet. Irving’s works were recommended at Richard Falk’s recent London School of Economics talk and Irving recently held a secret talk in February for 40 people, where he accused Jews of taking over Britain after 1938 and where he defended Adolf Hitler. Holocaust denial continues to rear its anti-Semitic head in New Zealand on social media posts and Auckland Libraries was found to hold denial literature earlier this year. However, the most notorious example of Holocaust ‘revisionism’ in New Zealand – a peculiar link to David Irving – was the Canterbury University ‘Hayward affair’. Joel Hayward completed a Master of Arts at the University of Canterbury in 1993 under the supervision of Vincent Orange. Hayward referenced Irving numerous times in his 360 page M.A. thesis titled ‘The Fate of Jews in German Hands’ which grotesquely concluded that “the weight of evidence supports the view that the Nazis did not systematically exterminate Jews in gas chambers or have extermination policies as such”. The Canterbury Working Party’s conclusions imply that so long as a committee trusts degree candidates “honestly believe” what they say at the time they write their fiction, their degree ought not be canceled. So much for ethical and academic standards of Canterbury University. Hayward did not reference his own article in his thesis. This article also does not appear in the Canterbury Working Party report. In other words, the article written by Hayward in February 1991 condemns Irving as a Holocaust Denier after having examined 11 of Irving’s books, while another article on the same subject now having examined 31 of Irving’s books, comes to the complete opposite conclusion. Bizarrely, Hayward was able to use his Masters degree from Canterbury as his stepping stone to a Doctoral qualification at the same University and in 1996 he joined the History Department of Massey University as a Lecturer in Defence and Strategic Studies. 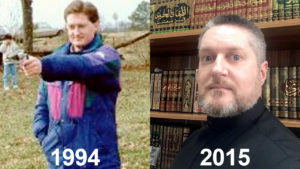 He has since become Chair of the Department of Humanities and Social Sciences at Khalifa University in Abu Dhabi, converted to Islam, and has reinvented himself as a Shaykh. Denial is a captivating film that provides a window into the minds of both Holocaust denier and those who defend objective history and the memory of the murdered. It is a relevant assertion of the truth, portrayed as a legal drama that played out in real life and, shamefully, continues in fringe institutions and on the internet. 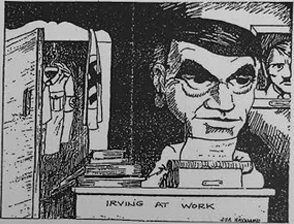 The fact that racists continue to reference Irving, and his fellow travellers, is troublesome. That a New Zealand University still maintains academic defence of the indefensible is more cause for concern. It degrades New Zealand scholarship and it is beyond the pale.